Sight words are words that must be memorized by sight, rather than being sounded out phonetically. Sight words are important to learn because once children are able to read the most common 100 sight words, they can read up to 50% of most children’s literature. Mastery of the top 300 words, gives students access to 75% of what is printed in most children’s literature. It’s especially important for dyslexic students to learn their sight words with multisensory strategies because sight words account for many of the most commonly misspelled words in writing. 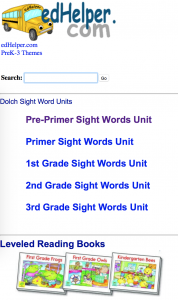 You may hear sight words referred to by many names, such as Dolch words, Fry words, high frequency, or even Orton-Gillingham red words. The most important thing to know is that these words are especially tricky for dyslexic learners who may not be able to make a mental picture of the words. For most dyslexic students, the best way to master sight words is to incorporate multisensory ways of learning (like saying the letters of a word outloud, tapping each letter, and writing it in the air or in a sand tray or other sensory-friendly material). Multisensory techniques are not difficult in and of themselves, but special curricula and instruction are often beneficial because there are so many words and exceptions to learn in the English language. 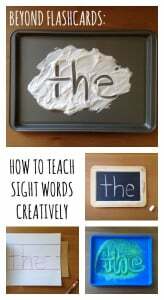 Students may need to see sight words many times before they recognize them easily and with out effort. As a result, having sight word readers (books that have frequent repetitions of the word or words that are being learned), word walls, or card games like Concentration can help with sight word mastery. 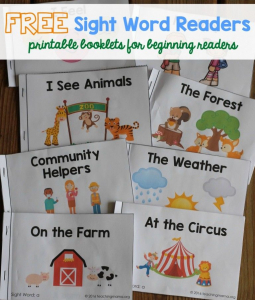 Free print-at-home sight word readers can be downloaded at Teaching Mama and EdHelper (free registration required) below. For kids with great memory for music and chants, there are many free video options such as Jack Hartmann’s videos below.